The other day I decided I wanted to encrypt a certain group of files stored on my home NAS device. Since my NAS doesn't support iSCSI I can't encrypt the entire RAID5 volume on it. 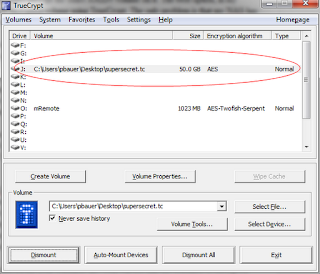 The best option, in my opinion, was to create a standard encrypted volume using TrueCrypt. The only problem is that my NAS has 2TB of storage, and I will have to format the container over the network. Quick format is much faster but may be less secure because until the whole volume has been filled with files, it may be possible to tell how much data it contains (if the space was not filled with random data beforehand). If you are not sure whether to enable or disable Quick Format, we recommend that you leave this option unchecked. Note that Quick Format can only be enabled when encrypting partitions/devices. The problem I had was that creating a standard encrypted container was going to take over 24 hours over my home network. Time I didn't really want spent on formatting. I realize that it may be less secure to not do a long format, but it's a chance I'm willing to take in order to save time. The good news? I found a way to make this work. I found that if you kill the TrueCrypt process during the formatting of the container that the TrueCrypt container you were making doesn't get deleted. 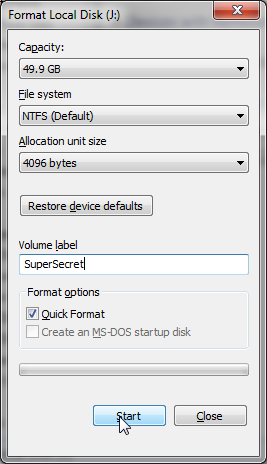 To do that go through the motions of creating your TrueCrypt volume and start the format process. 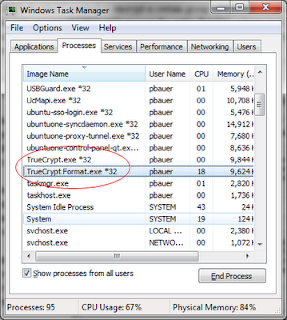 Wait for it to go for about a minute or so to get some data written, and for the encrypted container to be created then open task manager, go to the processes tab and right click on TrueCrypt Format.exe and TrueCrypt.exe and select End Process Tree. This leaves the TrueCrypt container you created with incomplete formatting. Now open TrueCrypt back up and mount your container file. You will see that the container is encrypted in Truecrypt. However when you open up Explorer, you will see a drive that needs to be formatted. Right click the drive and select format, and make sure to check the box for Quick Format and click start. That's it! 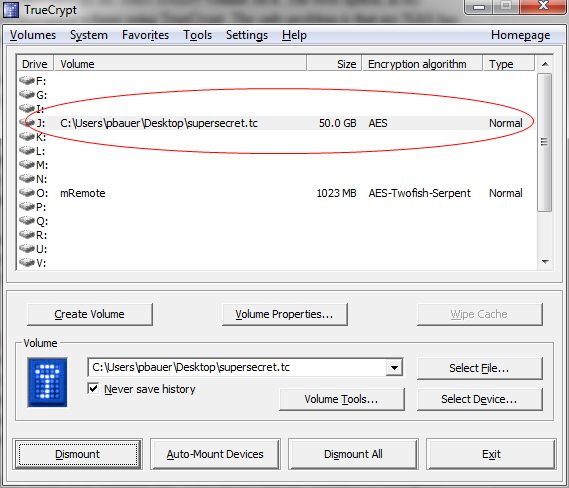 Now your encrypted TrueCrypt volume can be formatted in a few minutes instead of a few hours. Are you an encryption expert? Do you work for TrueCrypt? Do you see any serious flaws with doing this encryption wise? Let us know in the comments. Get Some Respect! Wear a Badge!